The first “Bull Barrel” Ruger® 10/22® rifle was born in the early 1980s by Jim Clark Jr. and Clark Custom Guns employee Randy Smith. The idea behind the gun was to keep weight in the forward part of the rifle to provide stability, improve accuracy over the factory, and to further evolve the Ruger® 10/22®. Jim Clark Jr, as well as other top shooters, went on to win multiple national level championships with the Clark 10/22®. Other companies since then have gone on to further evolve this magnificent platform as well as further evolution from Clark, but that first old bull barrel 10/22® was born inside the Clark Custom shop over 35 years ago in Keithville, Louisiana. Purchase a barreled action if you have your own stock, or prefer one of our aftermarket stocks. 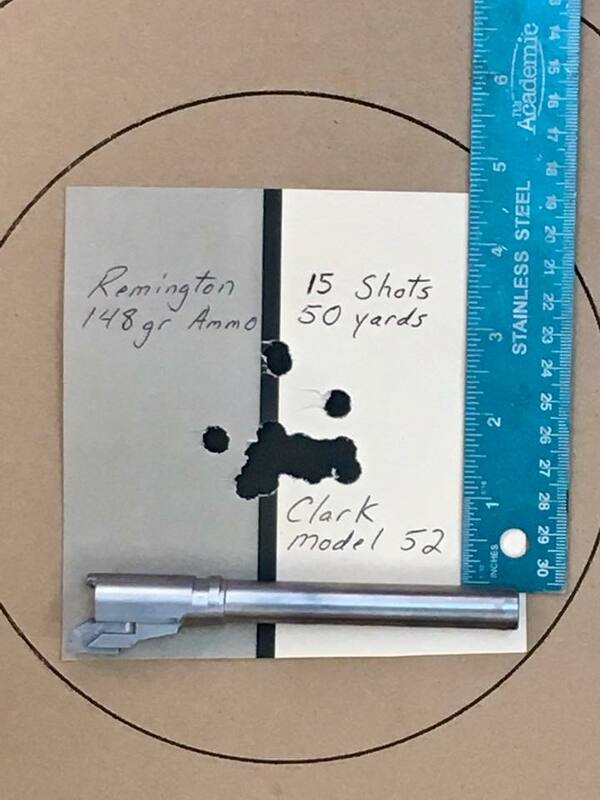 Watch the Jim Clark and Tom Gresham display the accuracy of a Clark 10/22®! GUARANTEED TO SHOOT 1 M.O.A. (Minute of Angle)! All Clark barrels are machined from Lothar-Walther premium grade blanks to our specified dimensions and are chambered with our EXCLUSIVE reamer. A recessed match target crown is added to make the Clark match barrel a supremely accurate, dependable shooter. Barrels are available with .920″ round (bull), fluted or .720″ midweight configurations and come in blue or stainless steel. 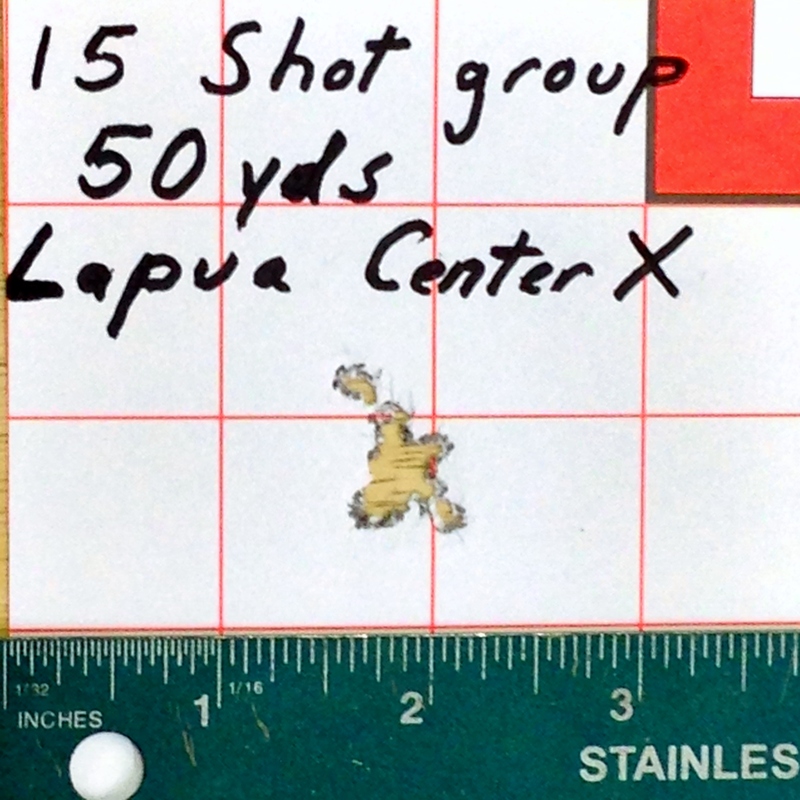 Note: DO NOT USE HYPER-VELOCITY AMMO! Doing so will round the engagement surfaces, ruin your trigger job and void our warranty. 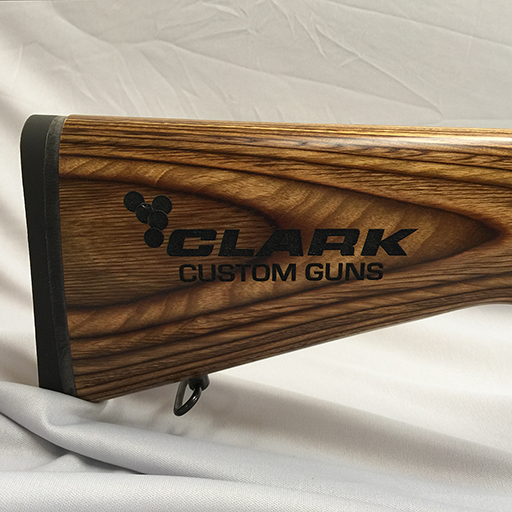 Now you can get the Clark logo beautifully engraved directly on your stock. Available on Wood or Laminate stocks. Other engraving options include your name (one line only) or your signature (Personal signatures only, no autographs allowed!). Available on new rifle builds only. See the Optional Features tab to the right for pricing. 21.50″ Deep Fluted .920″ BULL barrel 2.00 lbs. Customer may supply other after-market stocks However, we reserve the right to reject any stock as being unsuitable for our conversion. — 1st / 2nd stage: 3oz./6oz., 7oz./14oz., 8oz./1 lb., 12oz./1.5lb., 1lb./2lb., 1.25lb./2.5lb., 1.5lb/6oz. New complete gun prices are equal to the Barreled Actions plus the cost of your chosen stock.